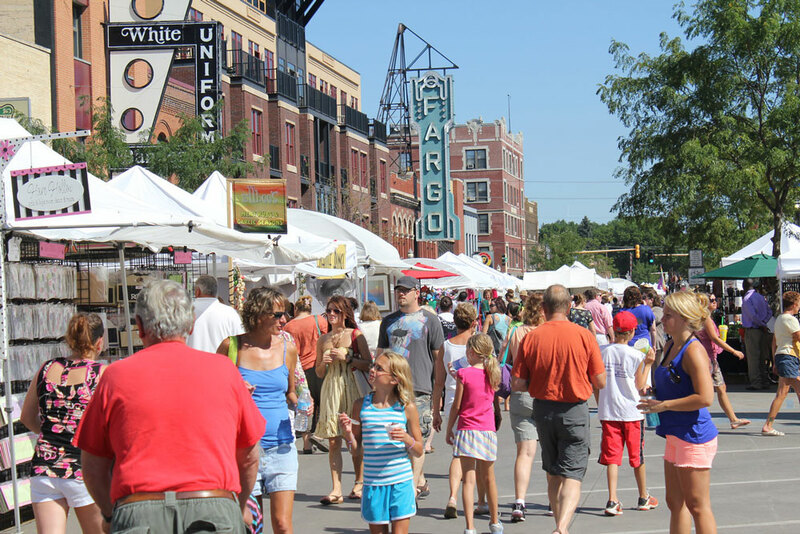 Join one of Fargo’s largest celebrations in Downtown! 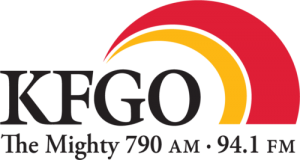 Since 1996, the parade has been traditionally held on the Saturday before St. Patrick’s Day in Downtown Fargo, ND. Attendees young and old come to enjoy a festive entourage of bands, equestrians, Irish dancers, bagpipes, civic clubs, and multiple cultural groups. Celebrate community and culture with family and friends, because everybody can be a little Irish for the parade! We really want to encourage our participants to go all out — wear GREEN, use SHAMROCKS, have MUSIC, whatever you can do to make your float, vehicle, or walking group FUN and CELEBRATE all that is IRISH! 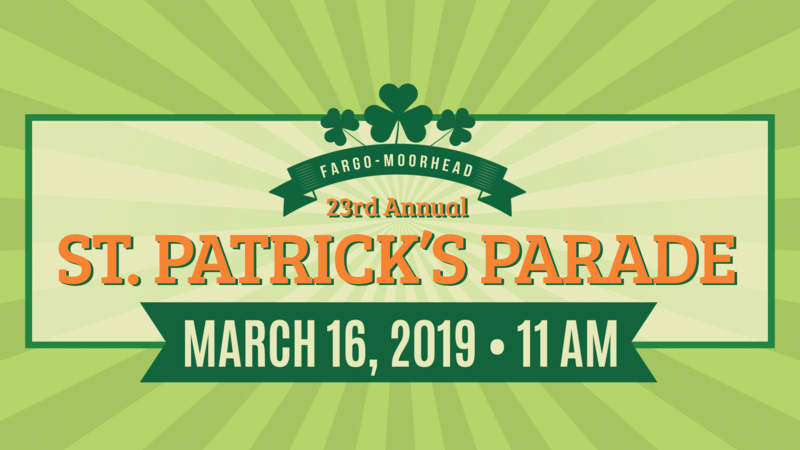 Enjoy the St. Patrick’s parade in Downtown Fargo for great family fun, Saturday, March 16th, at 11:00 am. After the parade, explore and discover all of the shops, restaurants and bars. Something unique for everyone. 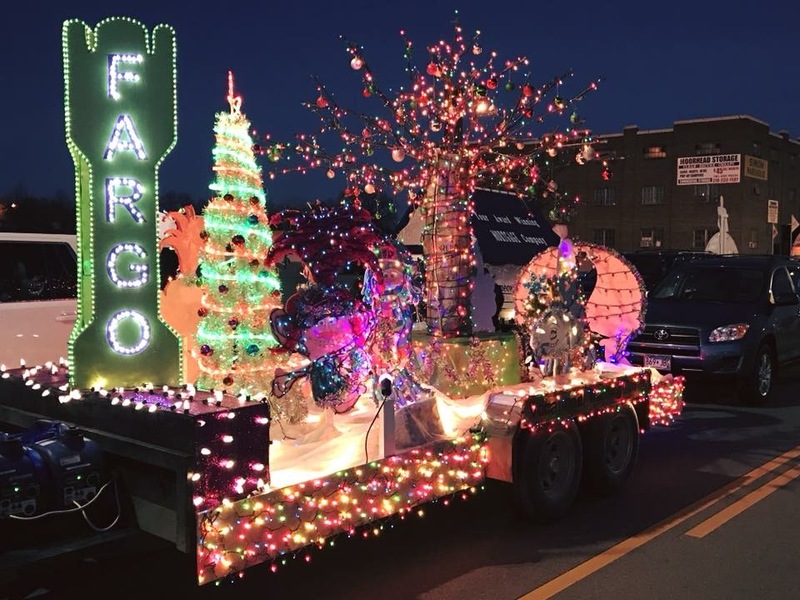 CLICK HERE TO REGISTER TO PARTICIPATE IN THE PARADE! Parade attendees are encouraged to utilize the LinkFM before and after the parade. 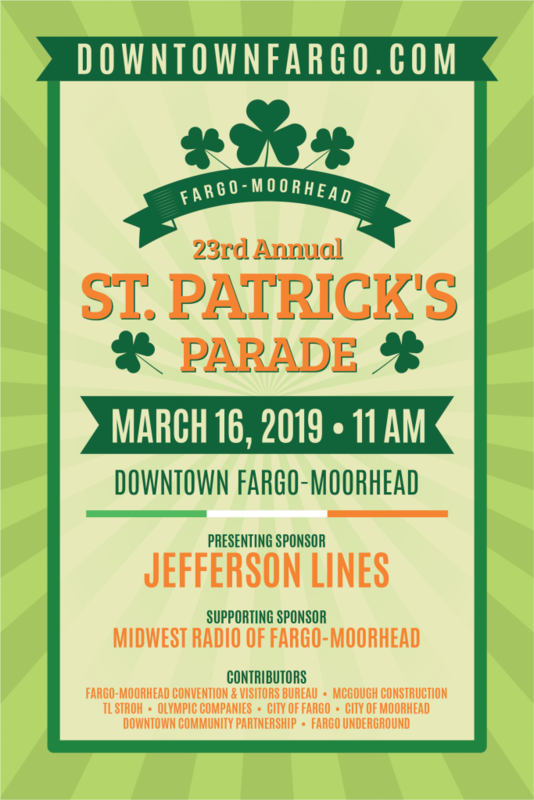 Parking will be available at the Moorhead Center Mall to shuttle attendees to and from Downtown for the parade event. Additional temporary bus stops for attendees will also be placed throughout the mall parking lot. 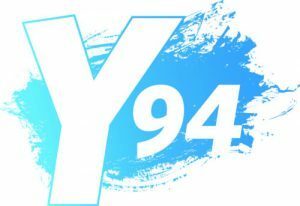 LinkFM service will be suspended during the parade. Visit http://matbus.com/services-partners/linkfm/expanded-service for more information. All streets will open up once the parade ends and cones and caution tape have been removed.